An unidentified man wearing a hoodie placed fireworks in the window of the Selimiye Mosque in Enschede, a city in the Netherlands, on December 14. A few seconds later, the fireworks exploded, breaking the window. The motives of the perpetrator remain unclear – he has not yet been caught – but mosque board member Sezgin Akman said he suspects the attack was inspired by hatred of Islam. “Maybe someone wanted to tell us we are not welcome,” he said, adding the mosque has received several threatening letters in the past. 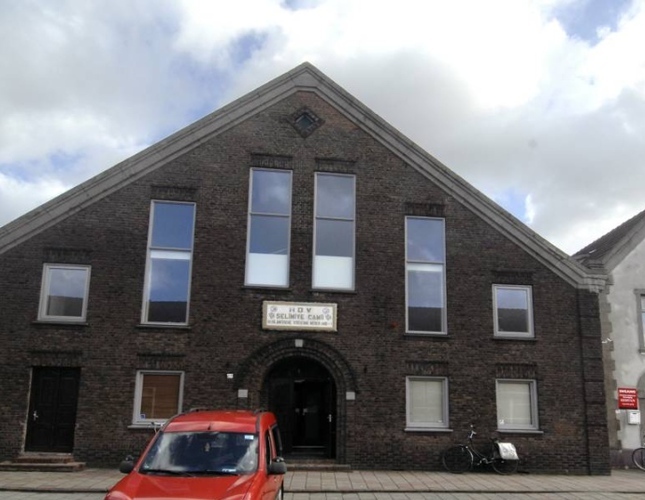 More than one-third of the Netherlands’ 475 mosques have experienced at least one incident of vandalism, threatening letters, attempted arson, the placement of pigs’ heads, or other aggressive actions in the past 10 years, according to research by Ineke van der Valk, author of the book Islamophobia and Discrimination. The Kuba Mosque, in the city of IJmuiden, said it has counted more than 40 such incidents since its founding in 1993. On June 23, two men shouting racist slogans entered the Kuba Mosque after an argument outside. They threatened to kill those inside, and broke the nose of one of the mosque’s board members. They were arrested two days later by police. 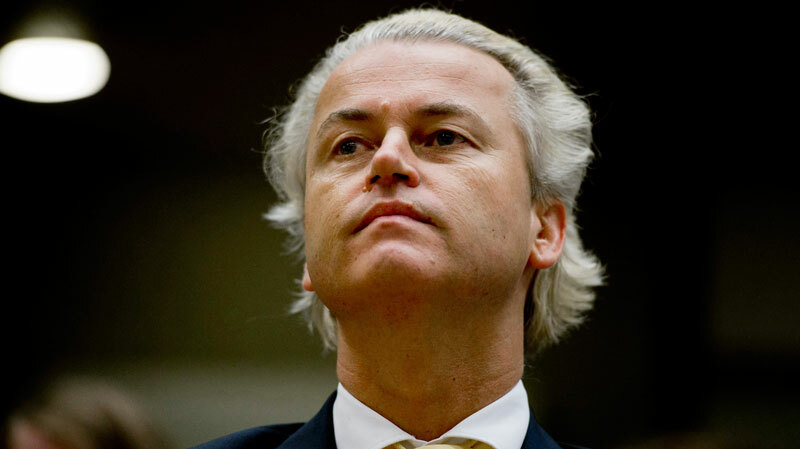 The public prosecution department is to take anti-Islam party leader Geert Wilders to court for discrimination and encouraging hatred after he led supporters in an anti-Moroccan chant at a post-election meeting. “Politicians can go far in what they say, that is part of freedom of speech. But the freedom is limited by the ban on discrimination,” the short prosecution department statement said. The department said in October it was investigating Wilders and formally questioned him on December 8. Wilders said in a statement at the time he would not take back his words and that he did want “fewer Moroccans” and “less Islam” in the Netherlands. 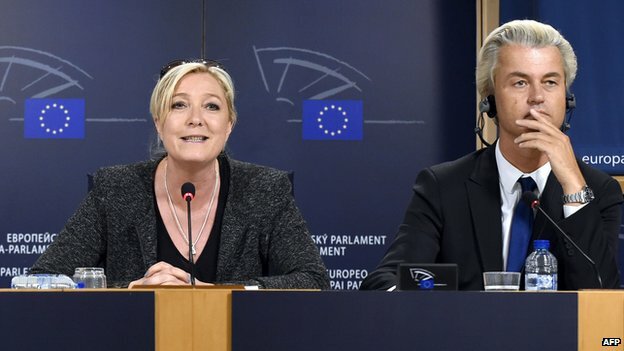 Wilders also said he would not allow himself to be silenced. The investigation dates back to a post-vote meeting with supporters in The Hague in March, when Wilders asked the crowd “and do you want more or fewer Moroccans in your city and in the Netherlands?” To which the crowd chanted “fewer, fewer, fewer”. “We’ll arrange that,” Wilders said, smiling, when the chanting died down. The chanting, and other comments made several days earlier, led to two MPs, MEPs and a handful of local and provincial councillors breaking ties with the PVV. The public prosecution department also received over 6,400 complaints. Far-right Dutch politician Geert Wilders said on Monday he had told police officers questioning him on discrimination charges that he stood by anti-Moroccan comments he made in March. “I do not retract anything I have said,” Wilders, whose Party for Freedom (PVV) is leading opinion polls, said in a statement on Monday. “In my fight for freedom and against the Islamisation of the Netherlands, I will never let anyone silence me. No matter the cost, no matter by whom, whatever the consequences may be,” he said. Thousands of complaints were sent to police in March and April after Wilders spoke to a crowd chanting for “fewer, fewer, fewer” Moroccans in the Netherlands, during campaigning for local elections. Wilders told the crowd: “We’ll take care of that.” In a later TV interview, he referred to “Moroccan scum”. 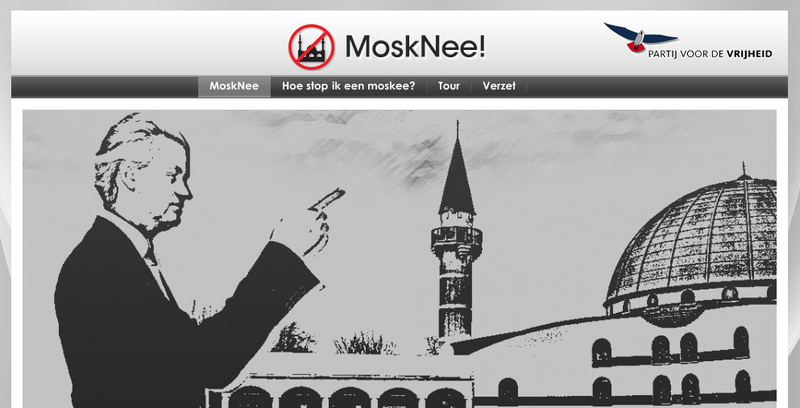 The anti-Islam PVV on Wednesday night called for the closure of all mosques in the Netherlands. “We want to de-Islam the Netherlands,” MP Machiel de Graaf said during a debate on integration. Until now the PVV has only called for a freeze in mosque building programmes and the closure of mosques funded from abroad or which support violence. Dutch authorities moved closer toward prosecuting far-right politician Geert Wilders on Thursday, naming him as a suspect and summoning him for interrogation over alleged racist remarks he made in March. 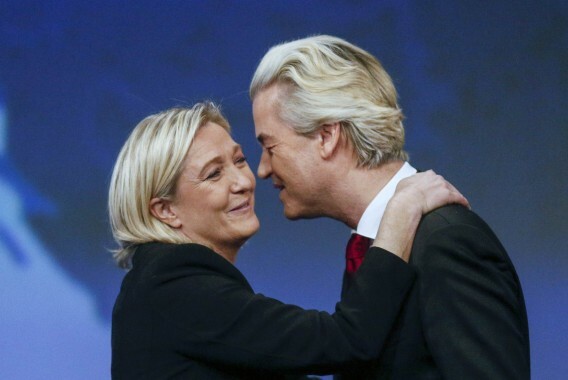 Wilders, whose controversial brand of anti-immigration, anti-Muslim populism has propelled his Freedom Party to second place in opinion polls, provoked widespread condemnation when he called for “fewer Moroccans” at a campaign rally in March. Interrogating a suspect is the final step in the process of bringing charges, prosecutors said. A spokeswoman stressed no decision had yet been taken about charging Wilders but said there was a “significant chance” he would end up in court. “I’m furious … that I am being investigated by prosecutors and will probably end up in court,” Wilders told journalists in parliament after learning of the summons. In a later interview with broadcaster RTL Z, he said “Moroccan scum” should leave the Netherlands. Moroccans were over-represented in crime statistics and in the number of people receiving social benefits, he argued. 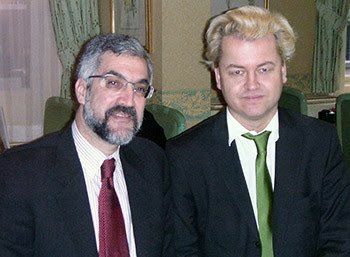 A Dutch Jewish group dropped the politician Geert Wilders from a petition against anti-Semitism. 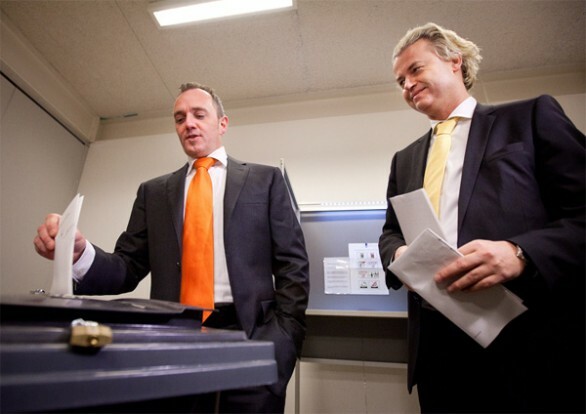 The Center for Information and Documentation on Israel, or CIDI, had approached Wilders for his signature along with other well-known Dutchmen. 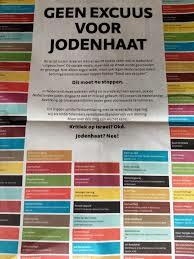 But the group dropped Wilders’ name when the petition appeared on Thursday as a full-page ad in De Telegraaf daily. CIDI director Esther Voet told the Volkskrant daily that Wilders, the leader of the far-right Party for Freedom, was removed after he criticized a joint declaration earlier this week by Jewish community representatives and Dutch Prime Minister Mark Rutte.